720TVL Day /20M/Night Water-proof IR-Bullet Camera Features: 1/3" HDIS High resolut.. Specifications 1/4 CCD High Resolution 420 TVL 500(H)*582(V) Picture Elements ..
CCTV Survillance Products CY-9016CB Features: 1/2.8" 2.4Megapixel 25/30fps@1080P, 25/.. Specifications Anti-Static Function 1/3 Sony Super HAD CCD High Resolution 420 TVL .. Features: 1/3 Sony Super HAD CCD High Resolution 420 TVL 0 Lux/F=1.2 Mini illuminati.. Specifications BNC jack, low consumption High resolution, vivid picture Widely used .. Specifications Weatherproof Design High Resolution 480 TVL DC12V/1000mA Power supply.. Specifications Low noise design Water Resistance: IP 66 Rs485 data communication M.. 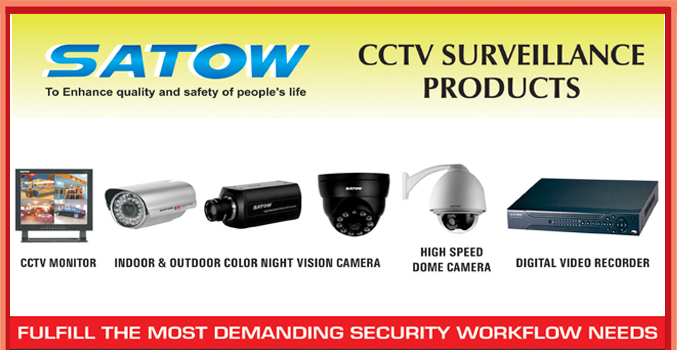 Product Description High-resolution SONY CCD High Speed Outdoor Dome Camera with P/T/Z cont..